Why (newer) enterprises like, say Google, Facebook, Amazon etc are able to create culture of collaborative-innovation where companies like IBM fail to do so. Does it have to do with (among other things) organizational structure and managerial style? 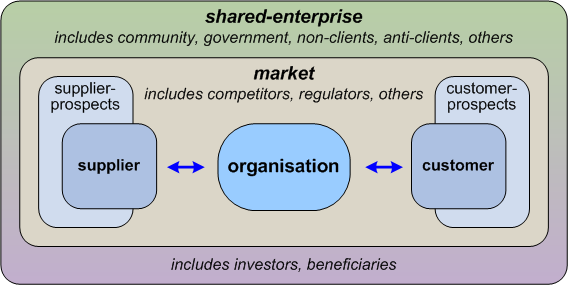 I am interested in understanding the influence of “Organizational structure” on success and sustainability of the enterprise – if that were truly the case, why can’t enterprises simply restructure them for success. The quick answer is that changing the structure on its own isn’t likely to make much real difference – if any at all, in the longer run. To get real change, we need to change not so much the structure as the story – the deep-story or deep-myth that underlies the surface-level ‘rationality’ of the overall organisation. The true system, the real system, is our present construction of systematic thought itself, rationality itself, and if a factory is torn down but the rationality which produced it is left standing, then that rationality will simply produce another factory. If a revolution destroys a systematic government, but the systematic patterns of thought that produced that government are left intact, then those patterns will repeat themselves in the succeeding government. There’s so much talk about the system. And so little understanding. Which, as we saw in the ‘Focus on the right market’ post, doesn’t work – or work well in most current business-contexts, anyway. But people keep on coming back to it – because the deep-story doesn’t change. I understand, just structural change without cultural change makes any sense – but one could flip that argument that organizational structure is reflection of an organization’s culture. I was wondering if there are optimal structures (based on culture). I’m always a bit wary about ‘optimal’, because a true ‘optimum’ is always going to be context-dependent, and probably somewhat fleeting at that. Somewhere there’s some eponymous ‘law’ or principle about this, that structure reflects deep-culture – a variant of Conway’s Law that the structure of software reflects the structure of the organisation that created the software, that “organizations which design systems … are constrained to produce designs which are copies of the communication structures of these organizations”. As Gene Hughson noted in a recent post, it’s also elegantly expressed in Ruth Malan’s paraphrase of Conway’s Law: “if the architecture of the system and the architecture of the organization are at odds, the architecture of the organization wins”. Communication, says Catmull, should be separate from the structural hierarchy of an organization–out of order, and among anyone within the company, anytime. That may sounds like chaos to managers, whose job it is to keep the team coloring inside the lines. All of which is fine – but most organisations are not Pixar. So how do we do this in practice? 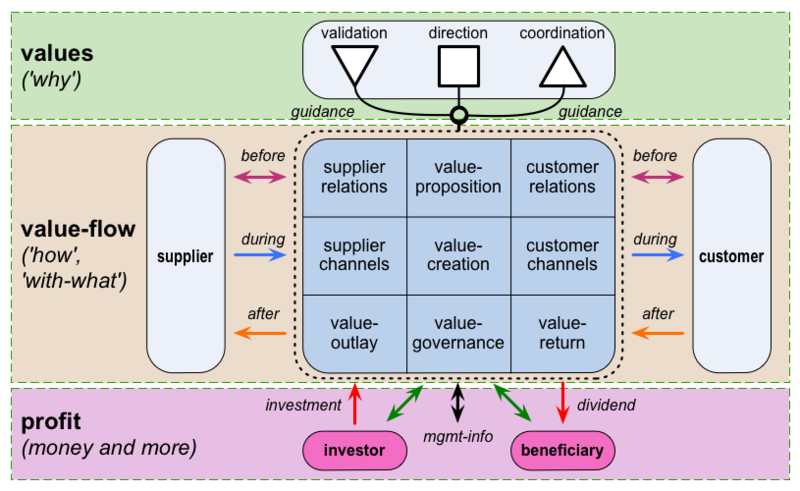 There’s quite a lot of mainstream business-literature around this: Kim and Mauborgne’s 2009 HBR article ‘How strategy changes structure‘ is one of the more useful ones, for example. The catch is that way too much much of that literature – in the mainstream anyway – tends to be a bit too full of the delusion that we can change culture by executive diktat: which, of course, we can’t. Or rather, the executive diktat can go out, with force of law, if need be: but in reality, such diktat only acts at the surface level, and rarely reaches down into the deep-story – not merely the espoused values, but the enacted values – which is where real change happens. To get to the deep-story, we need tools that are specifically designed to elicit it and bring it to the surface. One I would always recommend for this, even for assessment of seemingly-straightforward inter-stakeholder relationships, is Nigel Green and Carl Bate’s VPEC-T – Values, Policies, Events, Content, Trust. Yet that’s only the ‘awareness‘ side of the tasks: the other side is about the ‘choices‘ – about how we change the culture, more towards a shared-optimum that works well with the broader shared-enterprise. And we do that by changing the story – not at the surface, but a much deeper level. Over in the US, some of the people whose work I know and admire on this include Michael Margolis (GetStoried), Michelle James (CreativeEmergence) and Mike Bonifer (GameChangers). The person whose work I know the best, though, would be Shawn Callahan and his colleagues at Australian-based Anecdote: for example, see Shawn’s recent post ‘One simple way to bring your stories to life‘. The key in all cases is to leverage ‘small-stories‘ – much more so than grand Hollywood-style ‘Hero’s Journey’ stories – to guide subtle changes in the way the organisation (or, more specifically, the people in the organisation) view itself and themselves, and their relationships with others, within everyday action. A good place to start on this would be the strategic-narrative resources on the Anecdote website, such as their whitepapers on narrative and change, anti-stories, and ‘making strategy stick’. The other key point is that, again, it’s not something that came be done simply by executive diktat. It also is not amenable to ‘control’ in the classic management sense – much as Ed Catmull’s story indicates above. To make it work, we have to be in it for the long-haul: it’s a slow, subtle, very delicate process – and one that must be done with respect, or it can blow up spectacularly in our faces, potentially causing enormous damage to the organisation and its enterprise. But given the implications of that variant of Conway’s Law, it’s also the only viable option we have it we want and need to create deep structural change in the organisation that will actually last. Hope that’s useful, anyway – over to you for comment, as usual? ‹ Keep the focus on the right market! As I was reading the first few paragraphs, I found myself wishing that you’d posted this a day earlier (a bit selfish on my part, especially since you’ve been so prolific recently). I kept thinking that it would have been a great reference to include in my most recent post. Imagine my surprise (and delight) to discover that you had referenced mine. I suppose that in the interest of preserving the space-time continuum I should stop my wishing and just say that I heartily agree. Great post Tom (as always). Many thanks for responding in great detail. I know/understand that there are many factors that influence and have impact on organizational efficiency and innovation (Leadership, culture, organizational structure, people, technology, competition, market segmentation etc etc) and that these are interrelated (if you don’t have the leadership can you have the culture of innovation?… if you don’t have the right people can you innovate? etc) – However, I just picked “Organizational Structure” (managerial hierarchy: control/information flow structure) to understand – just by observing that how much information can you get about an organization (about “efficiency” and “innovation). I believe many organizations go through “re-org” without paying much attention to the impact it may have. 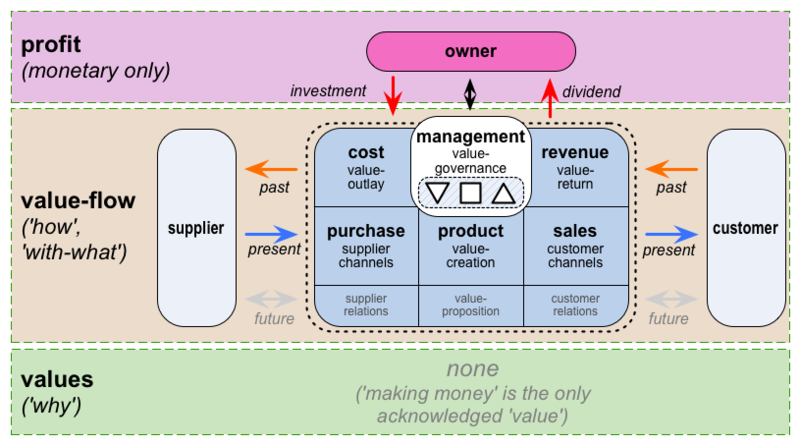 I believe an Enterprise Architect can understand a lot about enterprise by looking at the organizational structures – certain structures work better for Agile Enterprises than others. I was not suggesting that simply by changing the structure you can change the enterprise, I wish enterprises were that simple. I just want to say that organizational structure is much important than the attention it gets. Nice thoughts! While your first paragraph contrasting the likes of Google, Amazon, Facebook versus IBM is relevant. I wonder whether any of these new companies, even with their apparently superior collaborative-innovation culture will last a few decades if not a hundred years OR should longevity even be a metric? May be part of the collaborative-innovation culture is for companies to disappear after some period of time (perhaps creative destruction). Therefore, should structured / systematic “destruction” of enterprises be part of enterprise architecture?